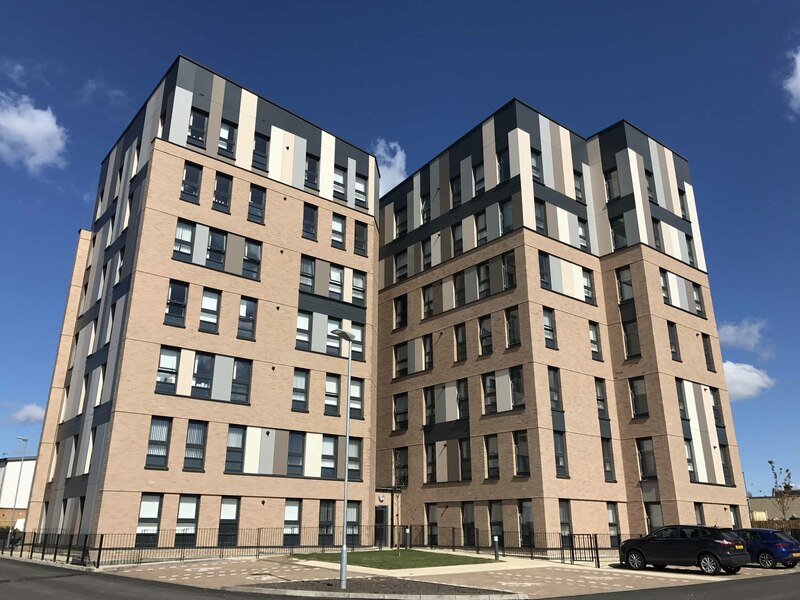 Working in partnership with CCG (Scotland) Ltd, this project delivered 42 flats in Yoker, Glasgow for mid-market rent by Sanctuary Homes. 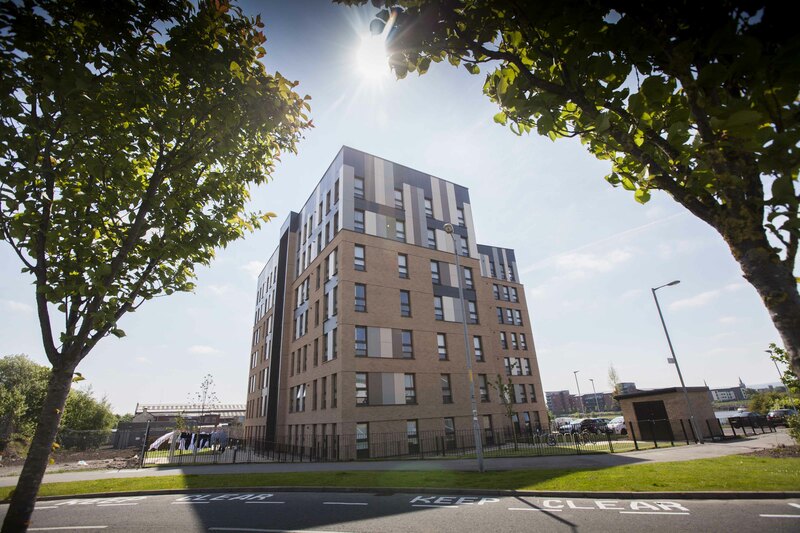 Ellerslie Crescent is one of Scotland’s most advanced housing projects through its adoption of Cross Laminated Timber (CLT) construction. 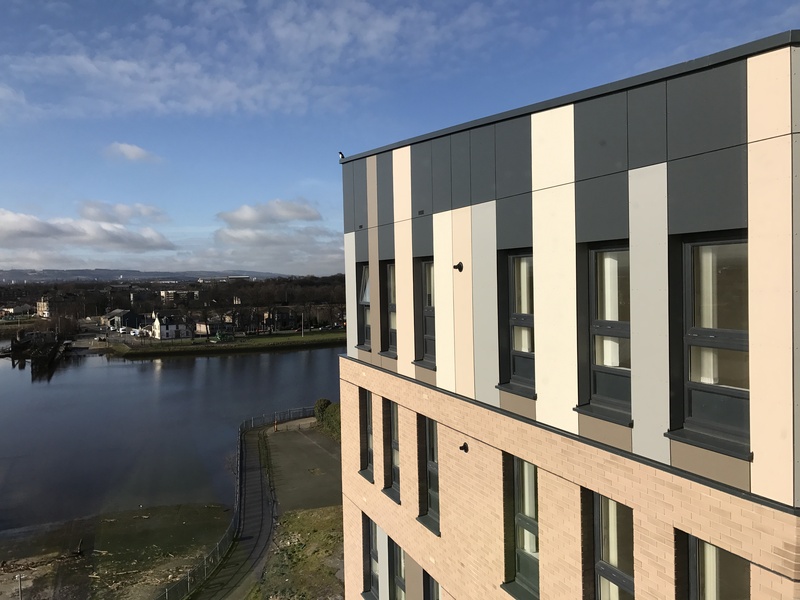 As Scotland’s tallest timber building, it is an exemplar for innovative design to improve construction practice and demonstrate how new materials and techniques can assist in improving efficiency and sustainability. 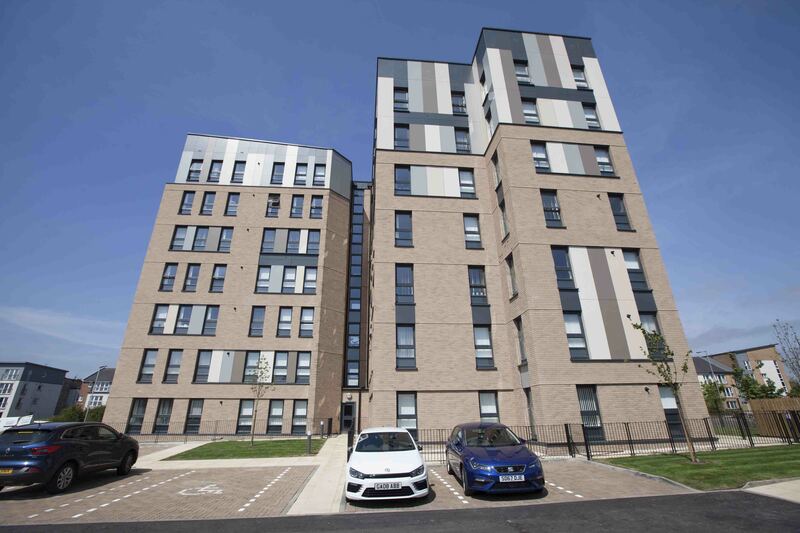 The principal design focus of the building was to maximise the efficiency of the CLT with the resulting layout comprising three blocks of accommodation centred around one stair core. The superstructure is built entirely from CLT, including the common areas and lift shaft, comprising approximately 1,170 cubic meters of timber, which equates to 936,000 kg of embodied CO2. 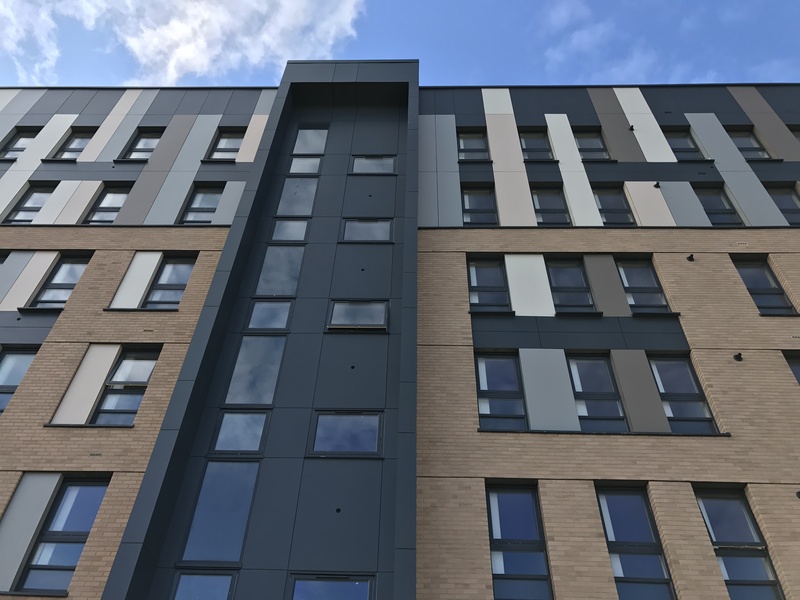 The external envelope was also purposefully developed adopting lightweight rainscreen cladding systems thus eliminating the requirement for a masonry skin / wet trades. Building Information Modelling (BIM) was also integral to the design process, with models shared between designers, manufacturers and contractors, to realise improved design co-ordination, robust structural performance and enhanced sustainability modelling. 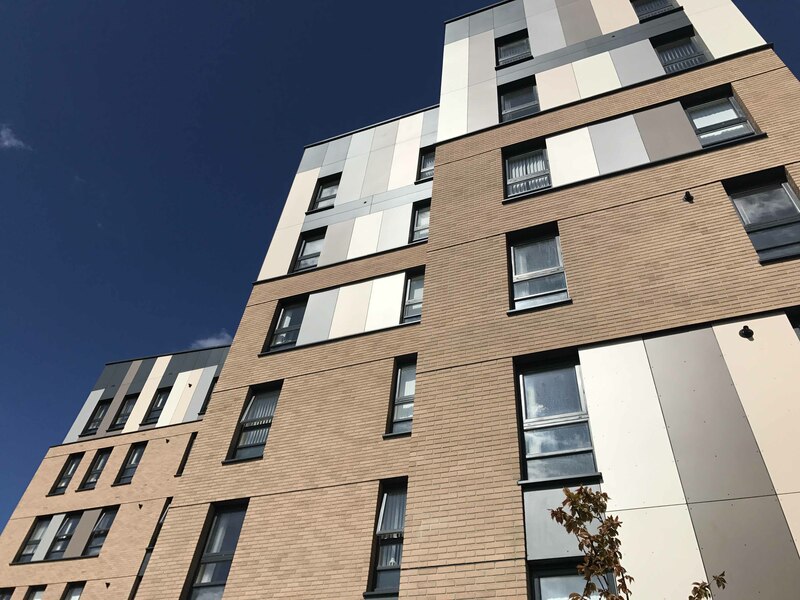 The construction phase benefitted from the use of CLT in terms of reduced erection / construction time, and reduced material wastage, as well inherent air tightness, acoustic and thermal properties, as the first multi-storey domestic CLT building in Scotland.